Spring has sprung and as the temps start to rise, we’re looking to inspire our guests to get out and enjoy their surroundings with this unique collection of adventures and experiences. Our current collection of featured ‘Pre-Knit’ Events are perfect for team building outings, staff parties, incentive trips, and celebrations. Browse through our offerings to find an experience that fits your objectives, team personality, and goal budget. After you find something that speaks to you, email us at getknitguru@getknitevents.com or call us at 855.333.5648 (KNIT). All events are ‘knit’ specially for you, so select from these events, or share your hopes and other ideas with us, and we’ll customize an experience just for you. GetKnit with the alluring and pristine St. Croix River. Take in the majesty of the river with 6-mile canoe trip followed by a visit to a local winery to sample some of their wines and explore their beautiful vineyard. Interested? Email us at getknitguru@getknitevents.com to plan your exclusive event! GetKnit with the MN United and MN craft beer. 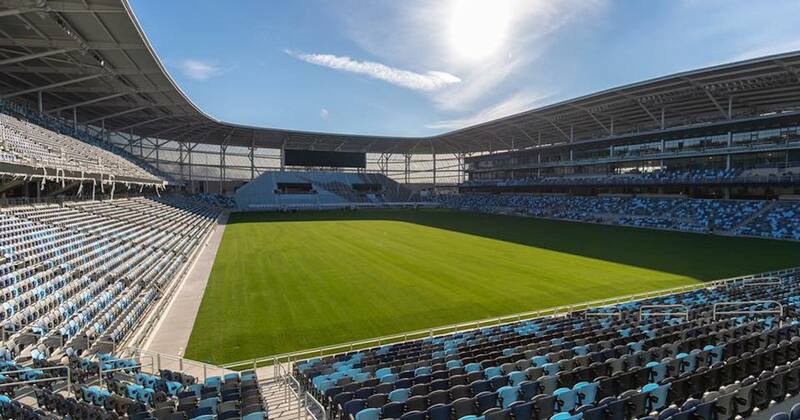 Start your event out with the exclusive opportunity to sit on the bench and watch prematch warm up from the sidelines (availability limited), enjoy a local beer and food at Allianz Field, and cheer on our very own MN United FC! 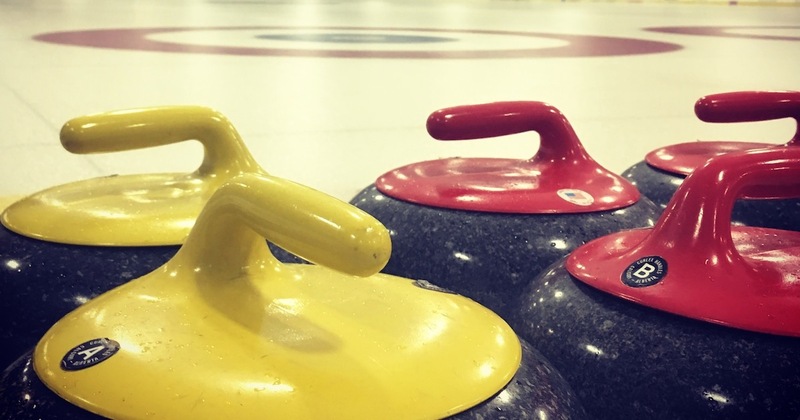 GetKnit with your inner-Olympian on this event that includes exclusive access to a local curling club. The event includes lessons, curling matches, dinner in the club, drinks, and more! GetKnit with the booming craft brewery scene! Join us as we enjoy a mix of flights and pints of beer, brewery tours, and a pub-style meal as we visit three different breweries throughout the Twin Cities. GetKnit with the MN Twins and some MN craft beer. 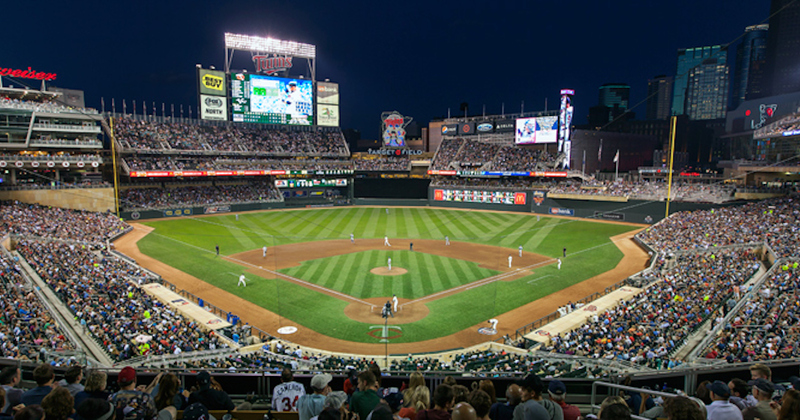 Start your night with a pizza buffet and craft beer at Day Block Brewing Co., followed by a night of rooting for the home team at state-of-the-art Target Field. GetKnit with a famous Minnesotan delicacy, The Juicy Blucy, and craft beer! 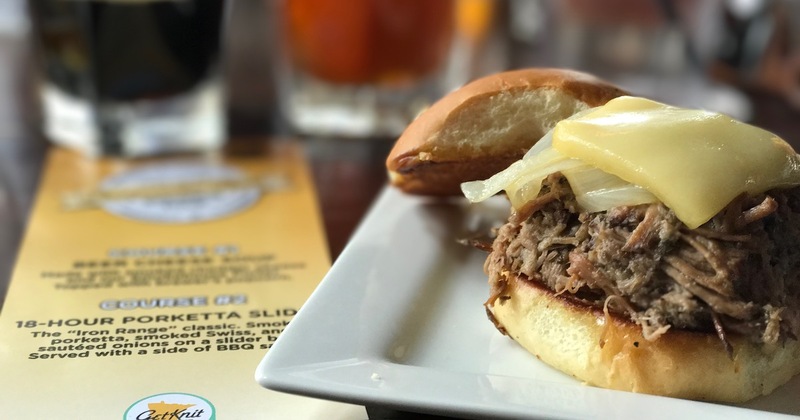 This event is a perfect alternative to your standard company dinner, as it features a “pop-up restaurant” from local favorite, Blue Door Pub, at a local brewery. 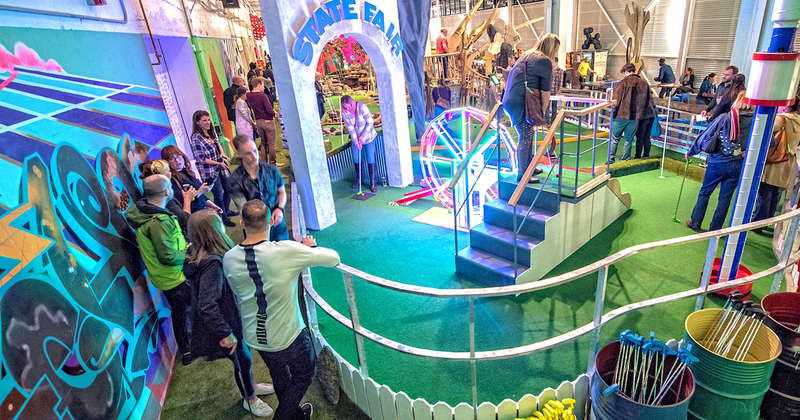 GetKnit with your inner child on this zany and fun fair-like experience. Enjoy a round of mini golf, vintage arcade games, gourmet pizza, specialty drinks, your own balloon artist making wearables, and more! GetKnit with the mighty Mississippi on this event, Paddling & Pints. 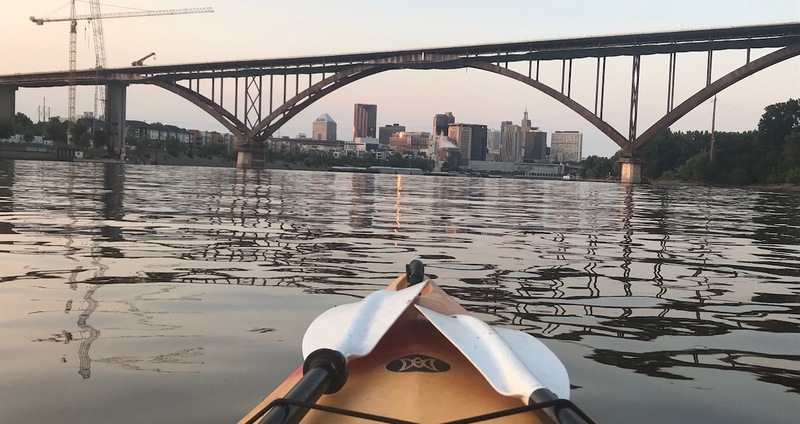 Head down river with us as we enjoy a 6 mile paddle, taking in views of lush wooded areas and the stunning St. Paul skyline, followed by a post-paddle pint and apps at a nearby local brewery. Want a custom experience that impresses clients, excites prospects, or inspires employees? Our “Pre-Knit” Event Menu below includes year-round and seasonal events we’ve ran throughout the years. Once you find something you like, email us at getknitguru@getknitevents.com or call us at 855.333.5648 (KNIT) and we’ll get to “knitting” your one-of-a-kind event. GetKnit with this fresh take on fitness! Enjoy a 1-hour all levels yoga class followed by a flight of local beers at a unique local brewery! GetKnit with this iconic winter past-time! 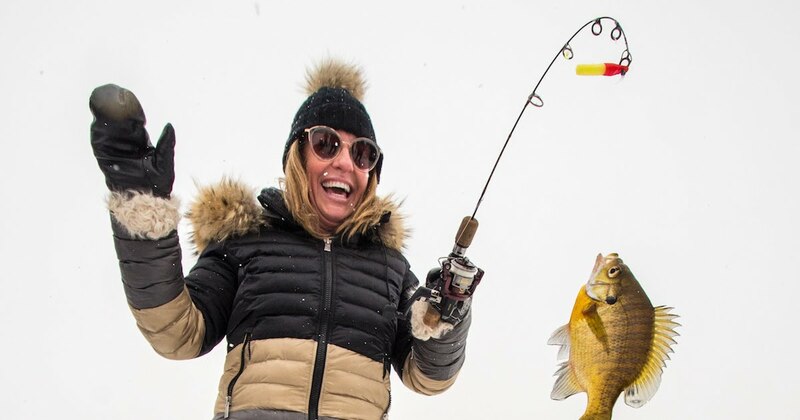 Enjoy an afternoon on the ice in decked out ice houses as you enjoy lessons from a local fishing guide, ice fishing, and an on-ice fish fry of walleye. All tackle, poles, bait, etc. Other ideas on how we can customize this event just for you? Let us know! 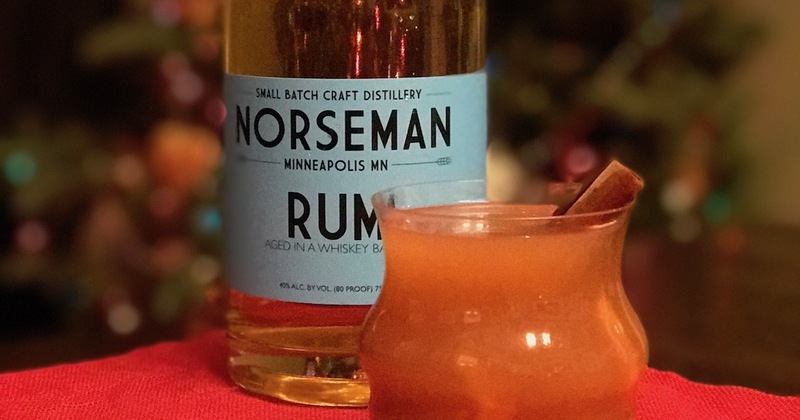 GetKnit with the local distillery scene! Learn how to make four seasonal drinks in cocktail making demos, enjoy your handmade creations, take in a behind-the-scenes tour, and more. Note: optional addition of heavy appetizers or full dinner for additional cost – if desired. Can accommodate larger groups – please let us know. GetKnit with your inner artist and be inspired by some ‘craft’ beer! 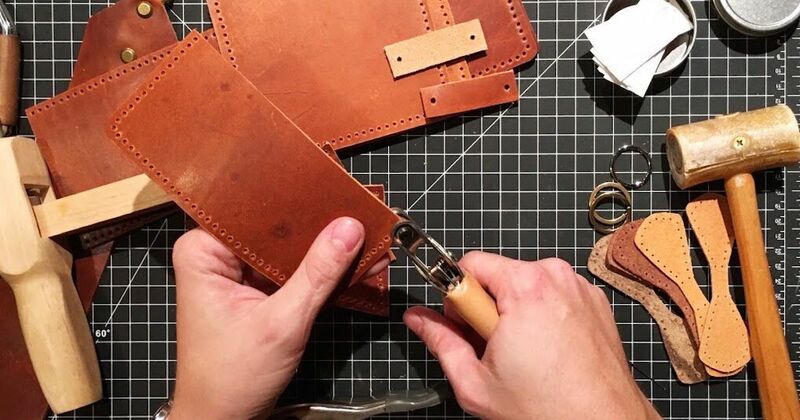 Join us as we partner with local leather maker to learn how to make a beautiful take-home clutch purse, belt, or cribbage board. GetKnit with your inner artist and be inspired by some ‘craft’ beer! 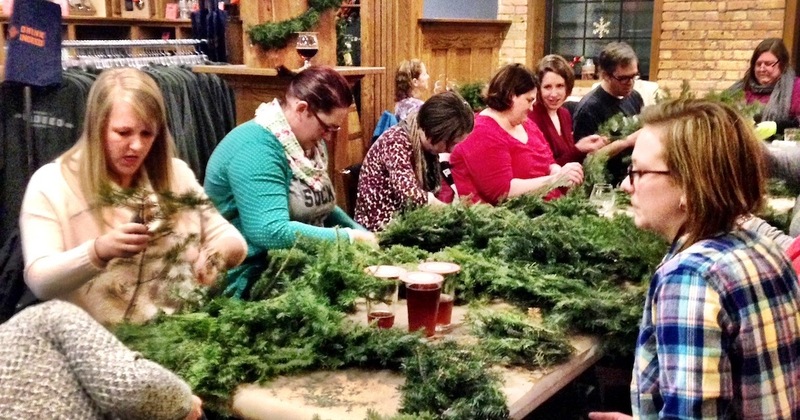 In celebration of the upcoming holiday season, we’ve created a Wreath Making arts (and ales) experience. GetKnit with your adventurous side on this once-in-a-lifetime day trip to the Gooseberry Falls State Park. 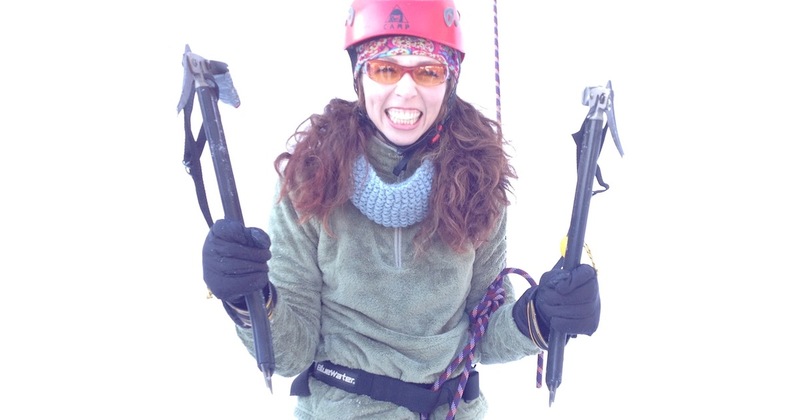 Learn how to ice climb on a frozen waterfall, snowshoe along Lake Superior, and more! GetKnit with the local beer and food scene as we tour 4 unique brewpubs around the Twin Cities. 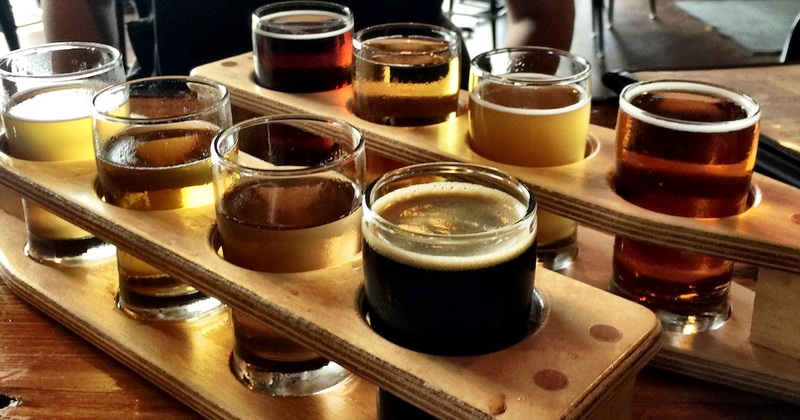 Enjoy 4 craft beer tastings and 2 small plates at each brewpub to fully sample their tasty brews and delectable food. GetKnit with your morning and start it out right with a sunrise paddleboarding fitness class on a local lake. Afterward, we will reward ourselves with a beachside brunch with coffee and free time to explore on your board. GetKnit with a meal that combines the best of breakfast and lunch! This event features a decadent 3-course brunch, each course paired perfectly with a different craft beer. GetKnit with local wine in the St. Croix River Valley! Explore the fine wine that this vibrant region has to offer with visits to three vineyards, enjoy tastings and a delicious meal. GetKnit with a volunteering experience at Bridging! Come together as a team to build dressers that will be donated to local families in need. Afterwards, toast to your hard work with a beer and dinner catered into a brewery. GetKnit with the one-of-a-kind breweries in beautiful Southern Minnesota! Join us for a day long tour of several breweries – and savor craft beer tastings, local food, and the scenery along our journey! GetKnit while you serve, then be served! Volunteer for a 2-hour food packing experience at local foodbank – The Food Group. 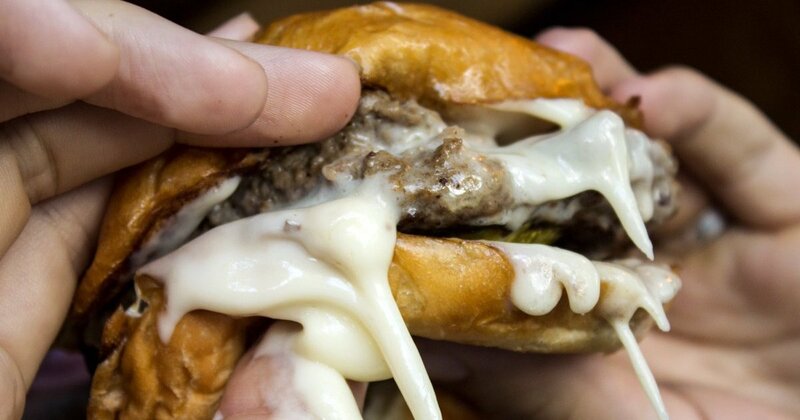 Toast your efforts with happy hour and appetizers at a local pub. GetKnit with 6 different breweries on the beautiful North Shore. This 14 hour event will introduce you to the best beer in Northern, MN as you enjoy tastings and food, all while taking in the beautiful sites of that region. 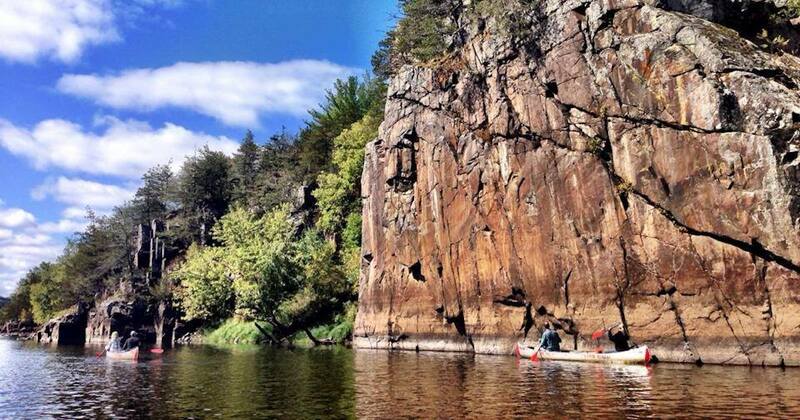 GetKnit with the world’s largest freshwater lake on this bucket list event – Sea Kayaking on Lake Superior. Head north for this epic adventure at Split Rock Lighthouse State Park for a day you won’t forget. Featured Partners: Split Rock Lighthouse State Park, Positive Energy Outdoors, Vanilla Bean Restaurant, Split Rock Lighthouse, and Castle Danger Brewing Co.
Find something that looks interesting? Great, now let’s chat! Now that you’ve been inspired by the endless possibilities, our local GetKnit Gurus are ready to help to make your ‘pre-knit’ experience come to life! Email us today to set-up a time to chat and learn more about creating a one-of-a-kind event just for you and your group!